Some light may be appearing at the end of the housing market tunnel as the day before the Budget the BSA’s March Property Tracker reveals that access to mortgage finance as a barrier to property purchase has dropped to its lowest level since the survey began at the height of the credit crunch in June 2008. (42 per cent in March 2013, versus 59 per cent at its peak in September 2011). 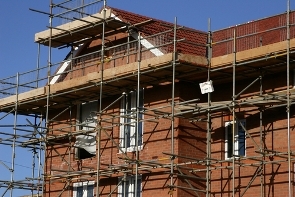 However in its Budget submission, the BSA highlights the need for Government to take a more holistic, cross-departmental approach to housing and to actively promote the building of more new homes. Crucial measures are needed if these encouraging signs of recovery are to take root. The positive consumer view about access to mortgage finance is not restricted to experienced home movers, as the results of Property Tracker show that first-time buyers agree that access to mortgage finance has improved. In March last year, 50 per cent of first-time buyers said that access to finance was a major hurdle, however, in March 2013 this number has fallen substantially to 34 per cent. One of the reasons for this more positive vibe could be that mutual lenders, including building societies, increased their lending in 2012 by 30 per cent. The availability of mortgage finance should continue to increase further in 2013 as the Government’s Funding for Lending Scheme (FLS) begins to take full effect. When asked how UK property prices will change over the next twelve months, 45 per cent of consumers said they would rise. This figure is eleven percentage points up on the views expressed in December 2012. Just 14 per cent of people think property prices will fall in the next year, well down on the 23 per cent who thought so in December 2012. Other major barriers to property purchase are also coming down. These include lack of job security – down by three percentage points from December 2012 (46 to 43 per cent) and affordability of monthly repayments, which fell from 39 per cent in December to 37 per cent in March this year. First-time buyers are now more confident in their ability to make monthly mortgage repayments. They also perhaps feel less excluded from the market as there are more 90-95 per cent mortgages available and interest rates have been edging down. Overall, 35 per cent of first-time buyers see affording mortgage repayments as a barrier to home ownership, down from 42 per cent in both March and December 2012. Despite this welcome news, a substantial number of consumers consider raising a deposit as the most difficult step to becoming a homeowner. Although the percentage has fallen by a fraction (58 from 59 per cent in December, and from 64 per cent in March last year) it is clearly still an issue. Similarly, 61 per cent of first-time buyers still say raising a deposit is the biggest barrier for them, although this is down eight percentage points from March last year (69 per cent). “The results from this latest Property Tracker survey give a more encouraging snapshot of the housing market. It fits well with the financial results from a number of home builders and chimes with lending, at least in the mutual sector. Over the past twelve months, mutual lenders have increased mortgage lending by 30 per cent and around one in every three loans made has been to a first-time buyer. “On the mortgage supply side, a number of building societies have made it clear in their results that they intend to lend more in 2013 than in 2012. However, this market is driven by demand too and this is why customer sentiment is such an important lead indicator and why today’s results are encouraging.